From the foreword: On the 17th June, 1944, the advance parties of the 43rd Division set foot on the coast of Normandy, to be followed, after an interval of high seas and much anxiety, by the main bodies. The Divisional Artillery proceeded almost at once "to do what it had practised so many times at home." These words, stolen from a slightly different context in the early pages of this story, will make good reading for those who had possessed their souls in patience, in the sure knowledge that every extra day vouchsafed for training made success more certain on the day. 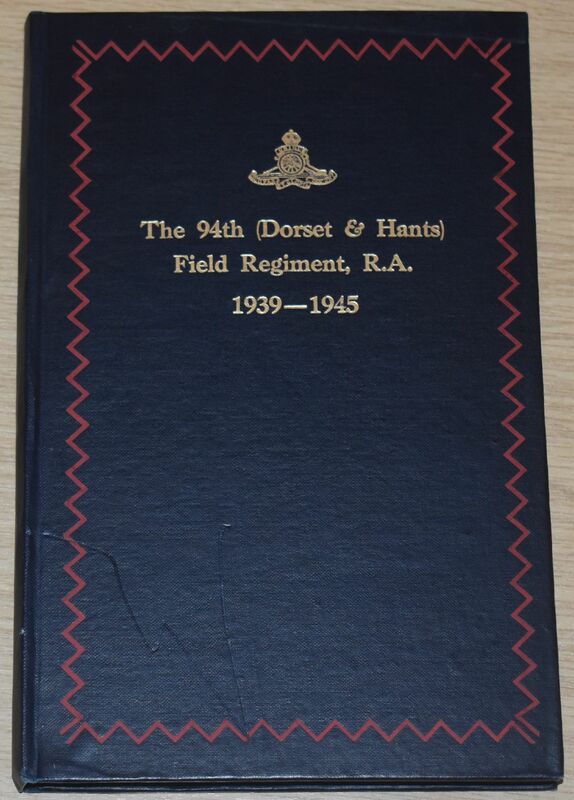 Between its first action on the 26th June 1944 and the sounding of the cease fire on the 6th May 1945, the 94th Field Regiment fought in nearly all the major battles of the campaign in North West Europe. The bloody dog-fight in the Odon Valley, with the epic of Point 112, the slogging advance through the bocage from Caumont to Mount Pincon and beyond, the rapid thrust to the Seine, and the brilliant assault crossing which followed it, occupied a period of some sixty-three days, during which the Regiment was almost continuously in action. There followed a short rest on the plateau east of the river, and then months of gruelling fighting in widely varying sectors of the front, from Nijmegen to Geilenkirchen, in the battle of the Rhineland, the crossing of the Rhine, and the final advance which ended in over­ whelming victory. The infantry of 43rd Division, and particularly of the 129th Infantry Brigade, will not easily forget the quality of the support which they received from the 94th Field Regiment, in attack and defence, throughout this great campaign. "Over the Rhine then let us go"
The condition of the book is generally good. The cover has one or two minor scuffs, and some bumping along the edges and corners, but the spine is tight and intact, and all pages are intact and tightly bound (including the 3 leaf fold out map towards the rear). There is some foxing to the outside pages leaves and first few pages, and light yellowing to the inside pages.